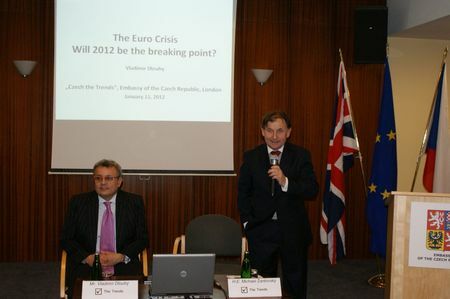 CBCC members were invited to a discussion evening at the Czech Embassy entitled “The EU Credit Crunch” and led by Vladimir Dlouhy, Member of the Czech Government’s National Economic Council. CBCC members were invited to a discussion evening at the Czech Embassy entitled “The EU Credit Crunch” and led by Vladimir Dlouhy, Member of the Czech Government’s National Economic Council, followed by a cocktail reception. 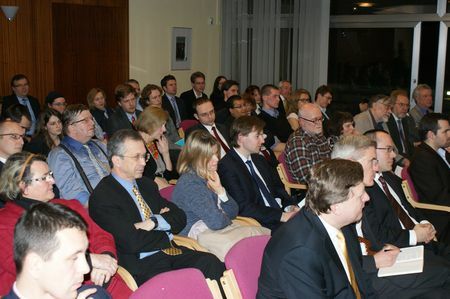 The discussion was part of the embassy’s “Czech The Trends” series, and took place at the Czech Embassy on 11 January 2012.